The College of Criminal Justice will host Bruce Budowle, professor and executive director of the Institute of Applied Genetics at the University of North Texas Health Science Center's Institute of Investigative Genetics, who will discuss "Bioterrorism and Microbial Forensics" on Monday (Sept. 15). The Beto Chair Lecture presentation will be from 9:30-11 a.m. in the Criminal Justice Center’s Hazel B. Kerper Courtoom. Budowle’s career includes 26 years as a senior scientist for the Federal Bureau of Investigation in Washington, D.C., during which time he served as a principal adviser in efforts to identify victims from the 2001 World Trade Center attack by helping establish a mitochondrial DNA sequencing program to enable high-throughput sequencing of human remains. Budowle's commitment to helping families resolve missing persons cases led him to UNT, where he collaborates with Health Science Center researchers and advances the knowledge and use of forensics and DNA to improve the health and safety of the world's population. At UNT, he also serves as vice chair of the department of forensic and investigative genetics. Budowle also helped establish the DNA-ProKids initiative to identify missing children on an international scale. For his efforts, Budowle recently was named a “Health Care Hero” by the Dallas Business Journal. Over the past decade, his research has focused on counterterrorism, specifically efforts involving microbial forensics and bioterrorism. He was involved directly in the scientific aspects of the anthrax letters investigation and has been one of the architects of the field of microbial forensics. He also was one of the original architects of the CODIS National Database, which maintains DNA profiles from convicted felons as well as evidence from unsolved case and missing person cases. He currently serves on other government working groups related to microbial forensics. 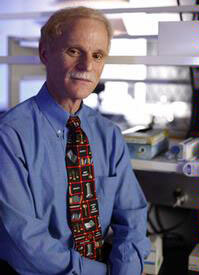 He has authored or co-authored books on molecular biology techniques, electrophoresis, protein detection, and microbial forensics; has published nearly 540 articles; has given more than 650 national and international presentations; and has testified in more than 250 criminal cases in areas related to his expertise. Budowle received his doctorate in genetics in 1979 from Virginia Polytechnic Institute and State University and completed postdoctoral fellowships at the University of Alabama at Birmingham and at the National Cancer Institute fellowship. Budwole’s presentation will also stream live at cjcenter.org/live. For more information, contact College of Criminal Justice publications coordinator Beth Kuhles at 936.294.4425. “Museum Day Live!” offers free admission to visitors presenting a “Museum Day Live!” ticket at a participating museum or cultural institution, this year on Sept. 27. In order to participate in the nationwide event, established as a Smithsonian Institution initiative, participants download a “Museum Day Live!” ticket at Smithsonian.com/museumday or Smithsonianmag.com/museumday, where they can receive free museum access to more than 1,400 participating venues, including the Sam Houston Memorial Museum, for two people. One ticket is permitted per household, per email address. “We are excited to participate in this annual event hosted by the Smithsonian Magazine. It’s our fourth year to take part in it, and it is an opportunity for visitors to take advantage of free admission to the museum to learn about Gen. Sam Houston and the legacy he and his family have left Huntsville and the United States,” said Megan Buro, Sam Houston Memorial Museum marketing coordinator. As part of Sam Houston State University, the Sam Houston Memorial Museum is dedicated to preserving the memory of Gen. Sam Houston and his times. The museum complex includes approximately 15 acres, including the main museum, which houses the major collection of Houston memorabilia; and two original, preserved Houston residences, the Woodland Home and Steamboat House, as well as a law office, kitchen, and other exhibit structures. In addition, a special exhibition, “On the Road with Texas Highways: A Tribute to True Texas,” currently is on display at the Katy and E. Don Walker Sr. Education Center, where visitors can view images taken by recently retired Texas Highways photo editor Griff Smith over his 30-year career with the magazine. Inclusive by design, “Museum Day Live!” represents Smithsonian’s commitment to make learning and the spread of knowledge accessible to everyone, giving museums across all 50 states the opportunity to emulate the admission policy of the Smithsonian museums in Washington, D.C., according to MDL organizers. Last year’s event drew more than 400,000 participants, and this year’s event expects record-high participation. For more information, contact Buro at 936.294.3839 or mlb044@shsu.edu; visit the museum online at Samhoustonmemorialmuseum.com or Facebook.com/samhouston.memorial.museum; or to see a list of participating institutions, visit Smithsonian.com/museumday/venues. In today’s ever-competitive job market, the Sam Houston State University Career Services department and the College of Business Administration will help students and alumni get a leg-up on their job hunt with activities that will put them in direct contact with employers seeking qualified, educated workers through two events on Tuesday (Sept. 16). From 11 a.m. to 1 p.m. that day, Career Services will prepare students for its upcoming Career Expo with a “kick-off party” in the Lowman Student Center Mall Area. During the event attendees can meet with corporate representatives who plan to attend the Career Expo and Graduate School Fair on Sept. 24. "Students will be able to network with the company recruiters while enjoying refreshments, and resume template packets and an up-to-date list of organizations and graduate schools attending the expo will be available to help students prepare for the event," said Mitch Parker, Career Services marketing and events coordinator. “We recommend that job seekers use this list to research the companies attending,” he said. “First impressions count, and students who are knowledgeable about an organization prior to meeting that organization's recruiter at the expo will make a great first impression with that potential employer." That evening, the department of accounting will bring together employers seeking accounting majors for jobs and internships in the field for “Meet the Firms Night,” from 6-8:30 p.m. in the LSC Ballroom. More than 35 firms are scheduled to attend, including Deloitte; Ernst and Young; KPMG; Seidel, Schroeder and Co.; and Karlins, Ramey and Tomkins; as well as many companies with accounting departments. “Meet the Firms is an annual event that the department of accounting has sponsored since the late 1990s,” said Philip Morris, professor and chair of the accounting department. “It brings together employers seeking primarily accounting majors—though a few firms may also be interested in finance or management information system students—and the accounting students who are seeking employment. “Because employers are seeking to fill both full-time and internship positions, accounting students of all classifications, from freshmen to graduate students, are encouraged to attend,” he said. For more information, contact Career Services at 936.294.1713 or careerservices@shsu.edu, and for a full list of attending firms attending Meet the Firms Night, click here. The work of four alumni artists that addresses varied issues of natural and constructed environments, man's relationships with those places, and the objects within them will be on display in the Satellite Gallery. “Habitat” will be on display Thursday (Sept. 18) through Oct. 10. An opening reception will be held on Sept. 18, beginning at 6 p.m. The exhibit features the work of Daniel Bertalot, Meredith Cawley, Quinn Hagood, and Bethany Hargrove. It is curated by assistant professor of art Annie Strader. 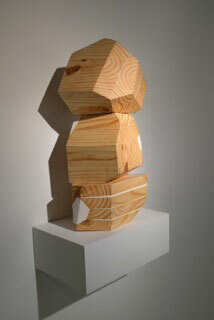 Bertalot’s art includes synthetic objects that suggest crude origins; plagiaristic representations of the natural that serve to maintain a relationship with nature under controlled circumstances; and sculptural and image-based methods that are combined to explore how imagery can function as objects. “These works are the result of the desire to surround myself with objects and imagery that are seemingly derivative of nature,” he said. Cawley’s art includes the manipulation of objects to study the ephemeral nature of time, memory, nostalgia and human behavior. Hagood’s exploration of how humans perceive and interact with machines is influenced by ideas of animism, industry, capitalism, and evolution. “Through performance, my work focuses on the meaning humans give machines and their treatment of their creations,” she said. “I am also interested in the ways that humans sometimes have a tendency to overlook the similarities shared by the synthetic and organic worlds. 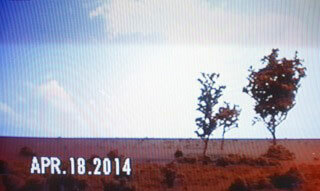 A screencap of a project by Daniel Bertalot. Finally, Hargrove explores ideas of “constructing,” both literally, through material choices, as well as theoretically, by addressing the way that memories affect the decisions we make today, and the way that those choices shape our future selves, she said. The Satellite Gallery is located at 1216 University Ave. in downtown Huntsville. With the average student loan debt across the nation continuing to rise, garnering the attention of legislators and economists, alike, the Student Money Management Center will bring back its popular “After Graduation: Student Loan Repayment” program on Wednesday (Sept. 17). The presentation, led by SMMC director Patsy Collins, will be held from 6-7 p.m. in Lowman Student Center Room 315. The event will review various rebates and programs available to potentially help students reduce the total amount of student loan debt owed. Since 1999, student debt has increased more than 500 percent, while the average salary for young people has decreased by 10 percent, according to Kyle McCarthy, co-founder of StudentDebtCrisis.org. In addition, nearly 7 million borrowers—roughly 2 percent of the entire U.S. population—defaulted on their student debts, which can have an adverse effect credit ratings; can lead to 25 percent penalties; and can even affect future job potential, as about 60 percent of employers run credit checks on applicants before hiring or promoting, McCarthy said. The good news for students is that there are a number of loan forgiveness programs that are available to students who work in certain fields, according to Collins, and those are among the things she will discuss in the “After Graduation” presentation. They include the Public Service Loan-Forgiveness program, which provides loan forgiveness for public school teachers. The presentation will also address tuition rebate, how to process the forgiveness feature of a “Be on Time” loan or TEACH Grant, and loan deferment or forbearance for students who are not able to immediately begin making loan payments. “The SMMC wants to work with students to learn that as college graduates, they don’t need to just survive living from paycheck to paycheck; they should thrive,” Collins said. The presentation, as well as past SMMC presentations, also is available online for distance learning students through the SMMC website. The online presentation includes a video of a previous workshop, the PowerPoint slides and other supporting materials. Santosh Kumar, assistant professor of economics, took his research on the “quantity-quality trade-off” to Germany this summer, where he presented his findings at the Ibero-America Institute of Economic Research and Courant Research Center’s international conference on "Poverty, Equity, and Growth in Developing and Transition Countries." Held at the University of Gottingen, the conference brought together internationally acclaimed scholars to discuss porverty issues related to health and nutrition, finance, trade and growth, social identity, evolution and risk, among many others. Kumar chaired a parallel (panel) session that discussed education-related issues, specifically, for Kumar, the effect of family size on education of children in India, which is known for son preference, he said. “In economics, it is known as ‘quantity-quality trade-off,’” he said. “The key idea that I wanted to explore is (the idea that) more children can be one of the causes of perpetuated poverty in less-income countries. “If a family has more number of children (quantity) and is poor, then they will have less money to spend on children’s quality (education, health); therefore, the likelihood of better education and job potential is compromised and the next generation is also trapped in poverty due to poor health and schooling,” he said. Kumar said the presentation was very well received, and the audience was excited by his findings. The conference also presented Kumar the opportunity to share research ideas with scholars who share some of his academic interests. Since only a few of the papers submitted were selected for presentation, Kumar believes the conference not only serves as an essential platform for sharing research ideas but includes cutting-edge research and quality papers. 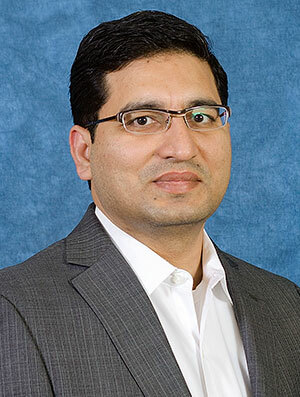 Kumar joined the SHSU economics and international business faculty in fall 2013. His research interests include developmental economics, international health and public policy.